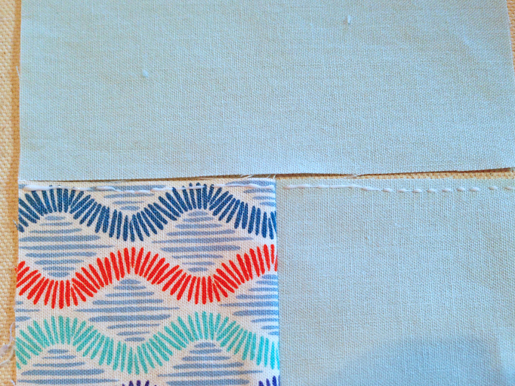 Perfect Patchwork Piecing Tip: Elmer’s School Glue! A simple but brilliant tip for perfect piecing from award-winning quilter Lisa H. Calle of Stone House Quilting. 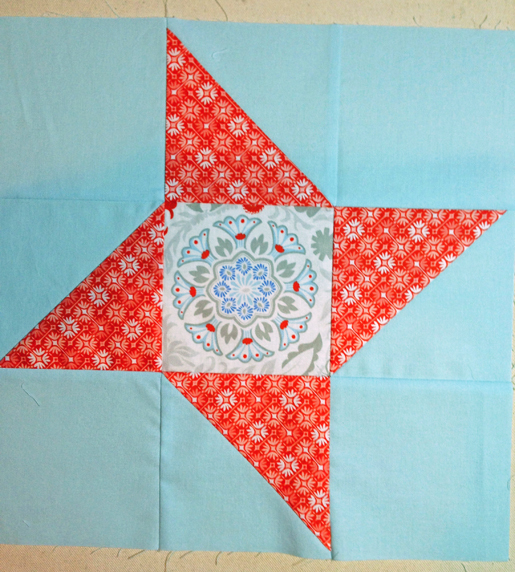 Visit Lisa at her blog: Quilting, Kids and Life. Pins, pins, pins! Those sharp little pointy things that we all use in our piecing. Like you, I used pins in my piecing . . . but only until about a year ago. What did I replace them with? 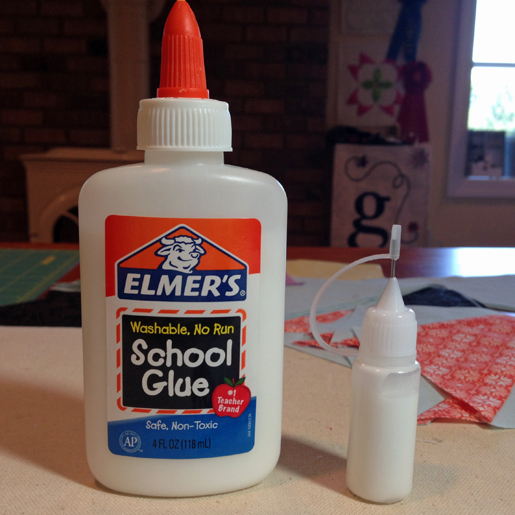 Elmer’s Washable School Glue! A couple of reasons why I made the move to glue: My poor fingers couldn’t take being stuck anymore and, most importantly, I found I was more accurate in my piecing as the layers didn’t shift while I stitched them together. I use the small applicator to get a nice thin line of glue which I place within the seam allowance. Then I use a hot iron to heat set the pieces together. Elmer’s School Glue in seam allowances only. 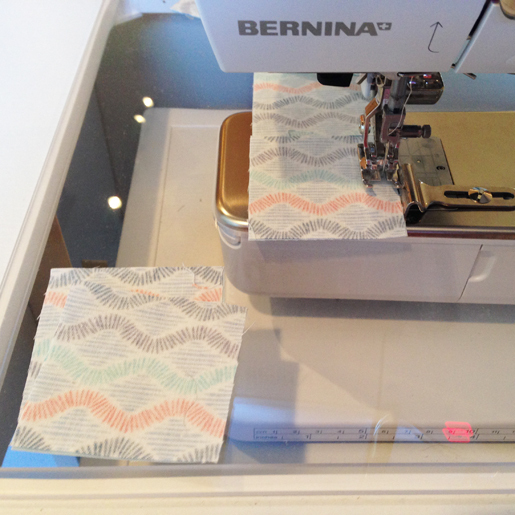 Once I have all of my pieces glued together, I hop on over to my BERNINA sewing machine (a BERNINA 750) to stitch them together. This process now goes quickly as I don’t have to put pins in to hold my piecing in place and I don’t have to take pins out. I am sure I don’t have to tell you what pins can do to a sewing machine if you accidentally sew over them! So do your sewing machine a favor and give the Elmer’s School Glue a try, paired with the new 1/4″ Patchwork Foot #97D for Dual Feet machines (or Patchwork Foot #97 or #57 for other models) your piecing will be transformed! Previous Previous post: BERNINA (and Schnauzer) Birthday Cake! What about glue on your needle? The glue is in the seam allowance. Where do you find your thin-line applicators? Where do you find the fine tip glue bottle Sticks? The glue is in the seam allowance, so it does not affect the needle. 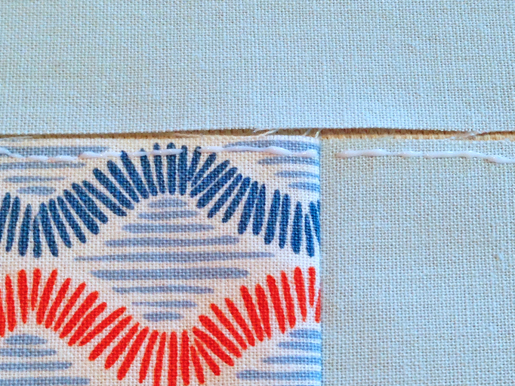 This method makes matching seams very easy when sewing together rows of a quilt.